A Cloud computing has become the new buzz word driven largely by marketing and service offerings from big corporate players like Google, IBM and Amazon. Cloud computing is the next stage in evolution of the Internet. Cloud computing provides the means through which everything — from computing power to computing infrastructure, applications, business processes to personal collaboration — can be delivered to you as a service wherever and whenever you need. Cloud Computing Provides illusion of infinite computing resource which can be Software Application, Hard-disk or Space, Database , Development Platform , etc, ability to pay per use as needed, Virtual resources as service over internet . In simple Words Organization need to pay only as much for the computing infrastructure as they use. 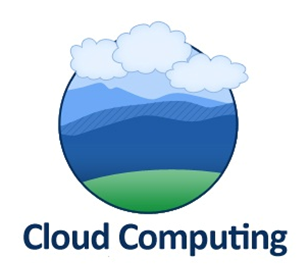 The billing model of cloud computing is similar to the electricity payment that we do on the basis of usage. Infrastructure as a service (IaaS) involves offering hardware related services using the principles of cloud computing. These could include some kind of storage services (database or disk storage) or virtual servers. Leading vendors that provide Infrastructure as a service are Amazon EC2, Amazon S3,Rackspace Cloud Servers and Flexiscale. Platform as a Service (PaaS) involves offering a development platform on the cloud. Platforms provided by different vendors are typically not compatible. Typical players in PaaS are Google’s Application Engine, Microsofts Azure, Salesforce.com’s force.com . Software as a service (SaaS) includes a complete software offering on the cloud. Users can #access a software application hosted by the cloud vendor on pay-per-use basis. This is a well-established sector. The pioneer in this field has been Salesforce.coms offering in the online Customer Relationship Management (CRM) space. Other examples are online email providers like Googles gmail and Microsofts hotmail, Google docs and Microsofts online version of office called BPOS (Business Productivity Online Standard Suite. The most effective transition to a cloud computing approach enables organizations to yield the following benefits: On demand service provisioning: by using Self-service provisioning customers can easily get cloud services without going through a lengthy process. The customer simply requests an amount of computing, storage, software, process, or other resources from the service provider. Elasticity: that is simple to add more stuff. Cloud computing provides the ability to scale up and down when additional users are added and when the application requirements change. Cost reduction: As a matter of fact, companies are often challenged to increase the * functionality of IT while minimizing capital expenditures. By purchasing just the right amount of IT resources on demand the organization can avoid purchasing unnecessary equipment. Application programming interfaces (APIs): accessibility to software that enables machines to interact with cloud software in the same way the user interface facilitates interaction between humans and computers. Cloud Computing systems typically use REST based APIs.